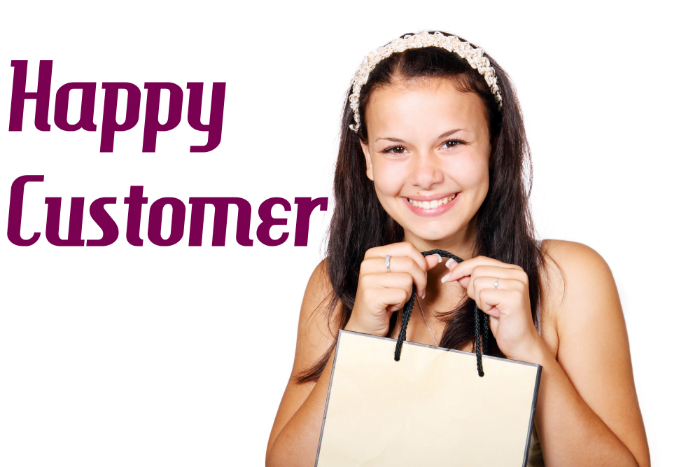 4 Ways to improve customer experience. The case for a better customer experience. Making a case for better customer experience is like convincing a fish to swim. It is understood and accepted by every business executive that providing exceptional customer experience is the best way to build customer loyalty and deliver superior service. It just makes perfect sense on paper. But how often is it followed through? I am writing this post as I am sitting at a branch of a top national bank waiting to open an account and give them my money. How long have I been sitting here you asked? Fifty minutes. And I haven’t even gotten to talk to the teller yet. And yes, I did ask them about opening the account myself online but they aren’t equipped to do that for this particular kind of account. They are very lucky that they have a product I want that no one else is offering or I would have been out of here 30 minutes ago. Needless to say, unless you are in a similar position and are able to provide a product or service that is so unique and so in-demand that customers will wait in line for hours for (iPhone 7 anyone? ), your customers would simply go elsewhere. For the rest of us who are not blessed with a holy grail and have to win customers the mere mortal way, here are some ways to improve customer experience. 1) Operational transformation. Let’s get the tough one out of the way first. Operational transformation involves changes in the operations which many times has to do with changing the culture of the business and how certain problems have been perceived in an organization for years or generations. This process could take a few years to complete. To begin, go through a customer touch-point assessment. Go over everything that is working well for the customer and identify what isn’t working so well. By doing this you should have a laundry list of things that need fixing. This will help you, as a company, prioritize what needs to be tackled first. Needless to say, you should begin by fixing smaller tasks first. Get the quick wins and build up inspiration and momentum along the way to get more difficult issues ironed out. Persistence and patients are your keys to success. 2) Digital integration. Using digital platform to communicate with customers such as social networks, a revamped website, accepting payments online, invest in creating a portal that enables customization of the customers’ products and services online. Online services are no longer “good-to-haves”. They are essential to doing business in today’s world even if your business doesn’t directly engage in doing any transactions online. 3) Listen. Have a feedback area on your website. Conduct surveys to obtain measurement and reporting of customer satisfaction levels. One of the more popular ways besides a survey is to gauge your company’s Net Promoter Score. With this method, you ask your customer only 1 question: “Would you recommend us?”. The more “Yes” you get out of the population, the better your Net Promoter Score. For anyone who answers no, make sure you ask a follow-up question with regards to their reason behind the answer. It may not be pleasant, but often truth isn’t, and growing pains is a part of business as much as personal life. 4) Cultural competency. Sensitivity training, cultural communication, interpretation and translation skills go a long way if you conduct business in a diverse geographical area or if you conduct your business internationally. Being sensitive to and understanding of your customer’s culture creates a rapport between the customer and the business and instills a sense of camaraderie. Suddenly you are no longer a business, but an adviser, a friend, a trust worthy ally they wouldn’t mind doing business with. 3) Increased revenue and profit as a result of (1) and (2). 5) Accelerated time to market for products. 6) Value added innovation for existing products. Thanks for reading. Questions/comments are always welcomed.